The town of Nis (Niš, pronounced Niche) with its population of over 300,000 people is the University center of the South Serbia. 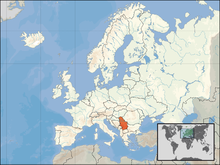 South Serbia is the region with the lowest average salaries, broken industry (including EI Nis electronics which was the symbol of my town 20 years ago), it is often forgotten by government centered around Belgrade, etc. etc (there are numerous places in Serbian language containing more detailed ramblings (complaints mostly) on the current state in the region). Being an optimist I tend to think that this hard economical situation has positively influenced the development of IT sector. There are numerous IT companies in Nis which are outsourcing partners of US and European companies (for example Accordia, Seavus, Youngculture). There are also companies that have their own products such as MotionDSP‘s video enhancment products or Atomia‘s server and hosting automation platform (they were also one of the Gold Sponsors of 2011 HostingCon). Please note that the above mentioned companies do not necessarily originate nor are completely located in Nis but have significant development resources located there. Also there are many freelancers including Genius-Tech, Disample, or individuals like me 🙂 who work from home. I’ve noticed that on elance.com freelancers from Nis are the majority of Serbian freelancers. For a more thorough list of IT companies in Nis take a look at the table below. The given list is unofficial and probably incomplete but helps in getting the overall picture. I’ll update the list with new info from time to time. 57 IT Centar 4 Web and mobile development. Smart TV apps. Please note: This table should be observed from a developers point of view -> potential employment opportunities. Therefore the employee numbers given represent the number of developers that work in Nis even though company could be located elsewhere. It is the same for technology column. Update 3: Updated employee number for Seavus from 25 to 58. Apparently the information I had before was too old. Update 8 (June 25, 2012): Changed the number of employees for younify. Added StangaOne1. Update 10 (February 26, 2013): Added 3 new companies: DMV, Tehnopetrol as advised by Miljan and a new startup in Nis – Mainframe2. Corrected salary info (upper limit and percentage below 1000e). The information about salaries is not given for obvious reasons, but for Nis they are within range 500e – 2400e net (for gross value add 40% to that number). Approximately 70% of developers have less than 1500e. For more details about any of the above mentioned company you can check with provided links or you can contact me (email: sfsgagi attt gmail dottt com or on twitter @draganstankovic) and I would be very glad to help in making contact for you or to direct you in the proper way. A što si našoj firmi stavio samo 2 zvezdice? Zaslužujemo mnogo više!!! Šefe, da ga tužimo? Evo ja ću opet lažno da svedočim. Najvise zvezdica je zasluzio ates. Kuvanje, restorani i zvezdice… to je uvek islo zajedno. Zeljko ne brini nista! Imamo Iliju, ja kad ga uzbudim ima da mi dohvati sve zvezdice! Ates update je dobrodosao ako ima znacajnih izmena. Hvala puno. Ubacio sam podatke i za njih. Hvala. Ispravljeno. Ispravljen i Ates jer se u medjuvremenu smanjio broj zaposlenih. This posting on the internet through Expertaya is so refreshing. 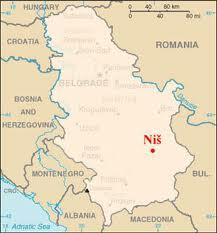 Nis will become a new center of excellence for the IT and electronics industry for sure. It’s already starting — it’s just that the political leaders in Belgrade cannot see beyond the Danube and the Sava rivers… They forgot that Nis is only two hours away by car, and when the new motorways between Sofia and Macedonia/Greece are finished late next year, Nis will only be two hours away from several European capitals and five million people. Go Naissus! Sorry for delay in approving your comment. I was very busy and had to clean a lot of spam to reach it. Horisen sada u Nisu ima 17-oro. Cuo sam i za firmu zlatna buba http://www.linkedin.com/vsearch/p?company=Zlatna+buba mada ne znam da li imaju sajt. Htec sada u Nisu ima 20. zaposlenih (zajedno sa kancelarijom u Beogradu 60). Postoji firma ‘Zlatna buba’ i nema sajt, ali ima odlicne .net developere; broj ljudi 7,8 cini mi se. @gagi Ates sad ima 12 developera, java i php – symfony, Zend trenutno nema u atesu. SmartNet Technologies sada ima 13 developera. Nove, veće i modernije prostorije su sada u Zoni 2. Ispravljeno i dodato sa malo zakašnjenja (dok stigoh sa odmora). Hvala! Po mom mišljenju značajnija razlika u plati jeste postojala ali pre jedno 10-ak godina. Sada ne. Koliko mislite da su plate u NS i BG? Update: EtonDigital ima 15 radnika, bavi se i Mobile development-om. Ukoliko želite da čujete švedska iskustva iz IT-a i “gejminga” dođite na “Aj Si Ti” konferenciju 29. aprila u bioskopu Kupina. Više o konferenciji možete videti na linku ispod. Ажурирао сам AppModule (био на позицији 54) и Ilumnis. Хвала! Da li neko ima podatke gde se nalazi firma Triangle Serbia. To je neka novo otvorena programerska firma u Nisu. Troxo se podelio zvanično, te sad Atomia ima 20 ljudi, a Troxo 10. Atomia razvija svoj proizvod/platformu u .NET tehnologiji (Automation Software), Troxo je prevashodno baziran na PHP, JS (CRM, CMS, Custom Web services…). Zlatna Buba ima 11 ljudi. Hvala puno (tek sad sam azurirao). Fali firma Prime Software koja se od skora otvorila u Nisu. Ima oko 20 programera, rade PHP, .NET i Javu. Додао Prime. Ажурирао процену плата јер се доста променило у последње 2, 3 године од када је задњи пут ажурирано. Full disclosure – radim za Badin, tako da se nadam da je komentar OK.